1. No one less than 14 year of age are allowed in the Wellness Center without adult supervision. 2. Do not allow children to climb around or on equipment. 3. No climbing on the white railing around the Walking Track. 4. Replace equipment to its proper location after use. (ex. Fitness balls). 6. Access to the school building is limited to the Wellness Center. 7. Access Cards are not transferable. Only the person that is issued the card may use the card to access the Wellness Center. Misuse of an Access Card will cause the card to be deactivated. 8. Access to the Wellness Center may be temporarily limited due to staffing and maintenance. 9 The only person to enter the facility with the use of the access card is the person to whom the card was issued. Do NOT allow any other person or persons to enter under your access card. Each patron to enter must swipe their individual card. 10. Use of the Access Card for the Wellness Center limits the areas to be accessed by the public to the Theater lobby, Theater public restrooms and elevator, and a direct pathway to the Wellness Center and the Wellness Center itself. 11. 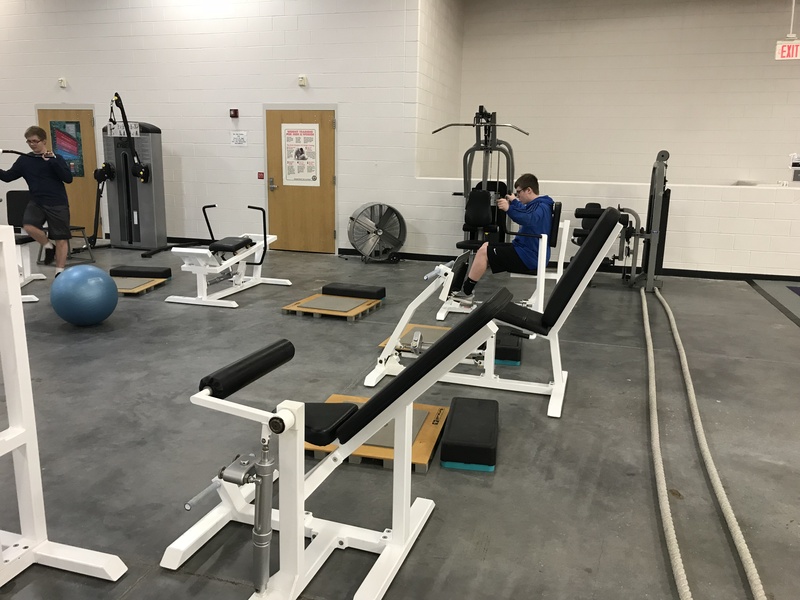 The School District reserves the right to limit or discontinue use of the Wellness Center on a individual basis. 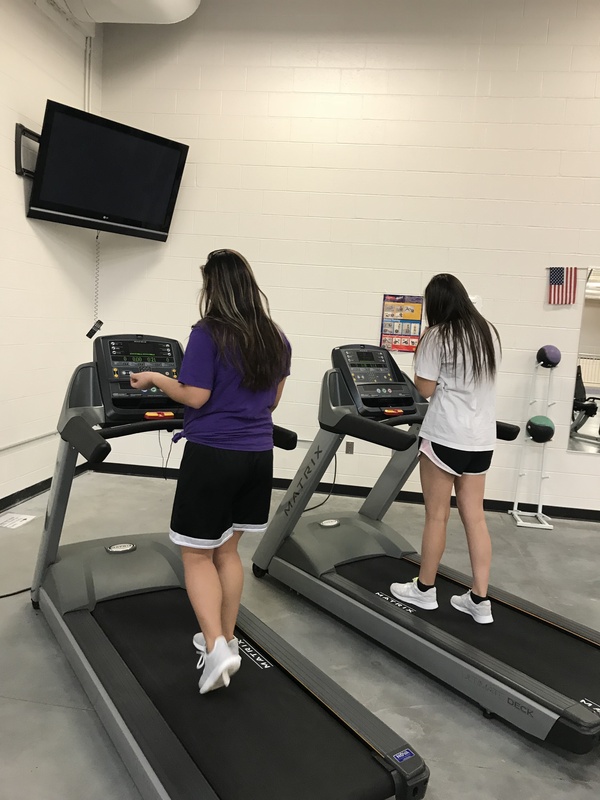 The Wood River Fitness Center is located inside Wood River High School and is open to the entire community at no cost*! The Fitness Center is on the upper level of the new gym, and can be accessed via the Theater Lobby entrance using a keyless entry system. Once inside the Theater Lobby, either go up the stairs or down the hall and around the corner to the elevator to get to the upper level. There you will find fitness amenities for all fitness levels, including: walking track, treadmills, ellipticals, Nu-Step rehab bike, spinning bikes, strength machines, hand weights, and a circuit training system. 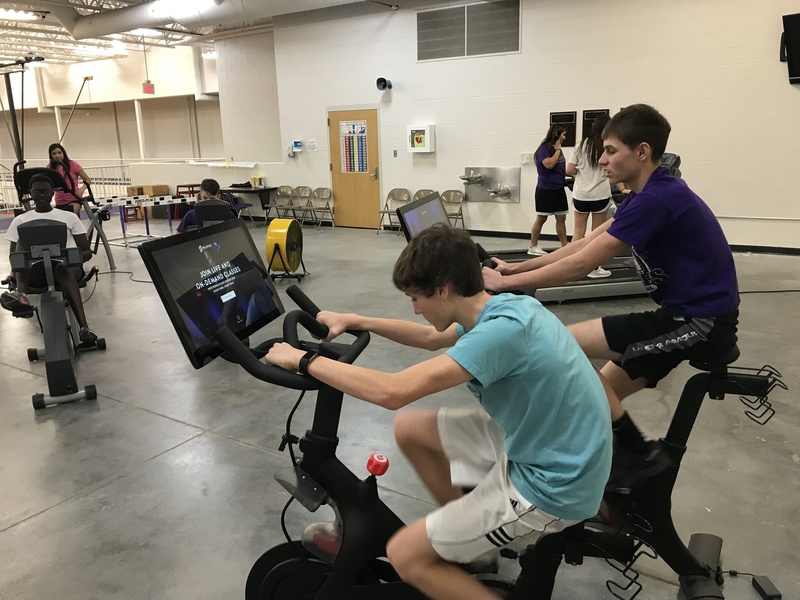 THANK YOU to the Wood River Foundation for their grant in December 2017 to purchase the two Peloton bikes and five LeMond spinning bikes! 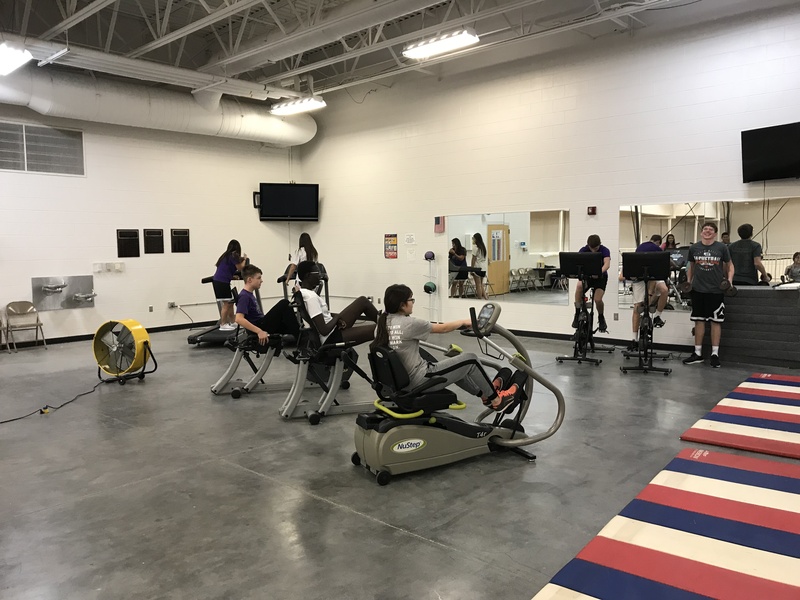 Coach Ashby is generously teaching spinning classes, which you can sign up for on the WRRS website. The Peloton bikes have both live and prerecorded classes in their system from their New York studio – something for all fitness levels. Just create an account when you first get on then you’ll enter your user ID and password after that to choose your class, record your results, and track your progress! 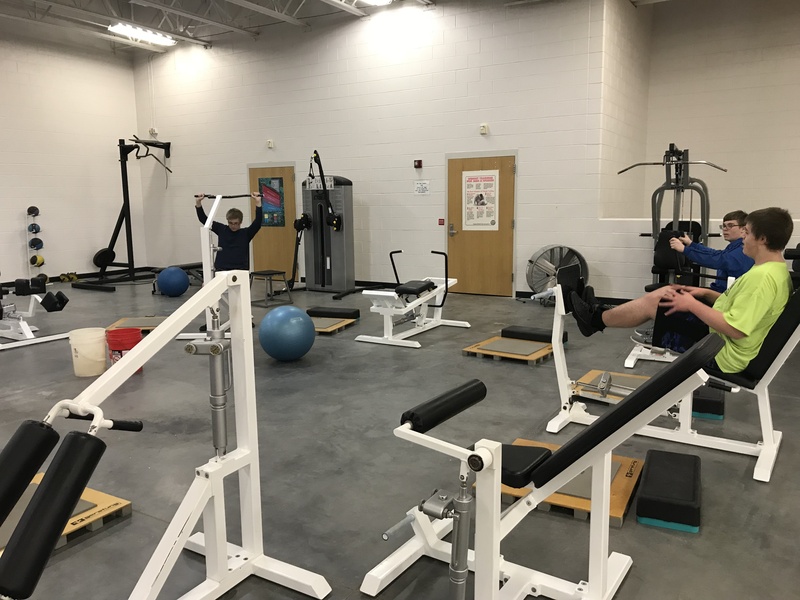 On May 3rd 2018, the Wood River Foundation participated in the Go Big Give campaign to raise $10,000 for the Wood River Fitness Center. With to the community’s generous support, we reached the goal! The Wood River Community Centennial Foundation and the Wood River Vision Fitness Center task force thank everyone who participated. Whether you made a donation or stopped out to learn more about the fitness center facility, it was great to have everyone’s support. 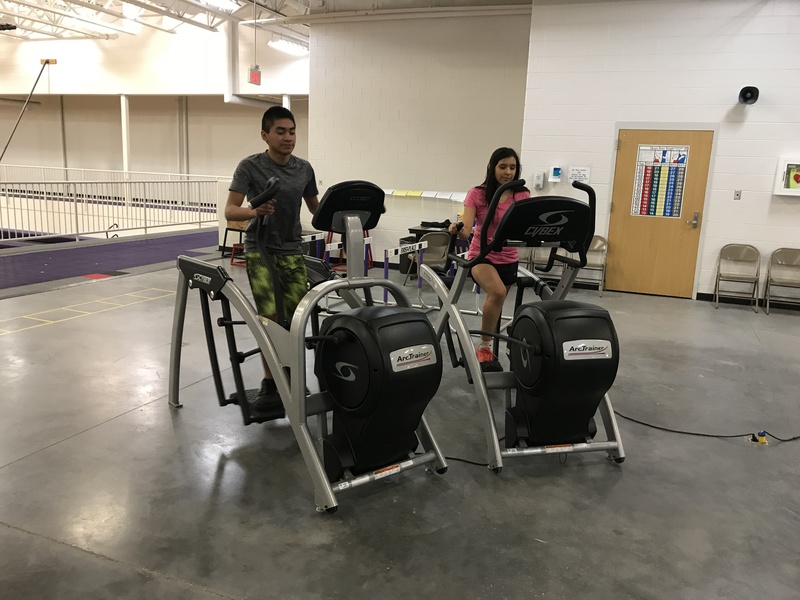 The $10,000 fundraising goal was reached, so the task force was able to move forward with the two top priority projects identified by the January 2018 fitness center community survey. First, padded flooring has been ordered for a portion of the fitness center. It should arrive late June. Once installed, fitness classes can begin. Anyone interested in teaching fitness classes (Zumba, Jazzercise, etc.) 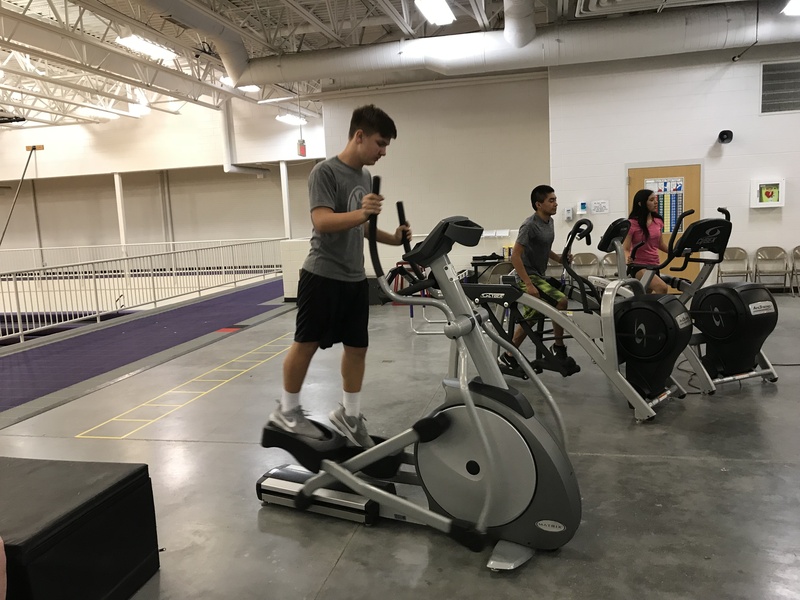 is invited to contact a member of the task force via the fitness center’s Facebook page @woodriverfitness or by calling the school at 308-583-2249. Second, we plan to open the center for 3-4 hours on Saturday mornings and Sunday afternoons. However we need to have people hired to staff the center for security purposes before that weekend access can begin. Applicants should be at least 18 years of age and have some basic technology skills. They must be willing to supervise, follow and guide users in the general function and rules of the fitness center. All interested applicants can fill out an online application (https://goo.gl/forms/R8SPQfzCBtYxSypu1) or paper copy at the middle/high school. They will also complete a background check. Please call the school at 308-583-2249 with any questions that you may have. Please follow Facebook @woodriverfitness to stay informed of progress! For anyone who doesn’t have an access card yet, please complete the application forms available on the upper left side of this webpage or at the high school office. For security purposes, each person intending to use the Fitness Center must have their own access card and complete the background check. *There is a one-time fee of $10 per application to pay for the Nebraska Department of Health and Human Services background check.